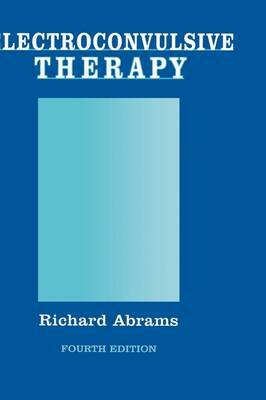 This is a thoroughly revised and updated edition of the definitive text on electroconvulsive therapy. This essential resource remains the primary reference and guide for those who prescribe, perform, or assist with ECT. New material for this edition includes coverage of the recently published 3rd edition of the American Psychiatric Association's Task Force Report on ECT (which lays out the boundaries within which ECT should be administered in the United States) and a new chapter on transcranial magnetic stimulation (rTMS), a treatment method that is analogous to ECT.